Notify customers of important rules, warnings, or sales in your area. 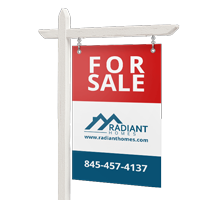 Aluminum signs are a crucial part of any business. 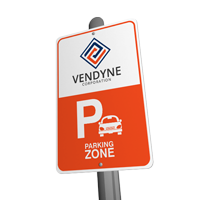 Whether you're a real estate agent marketing the latest property or a store opening a new parking space, displayed signs inform or warn customers. Choose from two durable material options: aluminum or corrugated plastic. 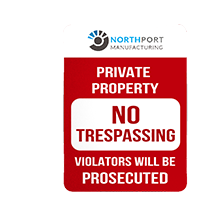 Custom metal signs last a minimum of 5 years and are rust proof. You can also opt for reflective aluminum if your design requires a gloss finish. All materials are UV safe, waterproof, and built for outdoor or indoor use. Grommets or hole drilling is available on the top, center, or all corners to secure the signs on a wall or hanging from a post. Start creating your order and our print experts will be happy to answer any of your questions.